May 10, 2018 by Benjamin G.
Laemmle Theatres and the Anniversary Classics Abroad series presents the 40th anniversary of AUTUMN SONATA (1978), as part of the centennial retrospective of the birth of Ingmar Bergman, the great Swedish auteur who has entered the cinematic pantheon. 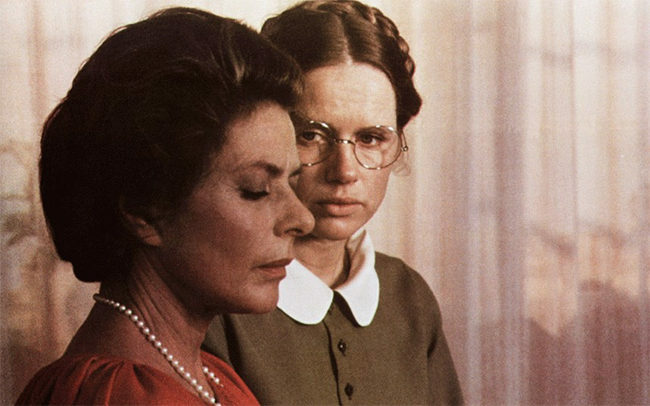 Autumn Sonata represents the last theatrical film for Bergman, whose subsequent work was made for television, and then re-tailored for theatrical release. For the occasion, Bergman enticed his namesake, legendary actress Ingrid Bergman, to return to her native language and star as a self-centered concert pianist who had favored her career over her children. 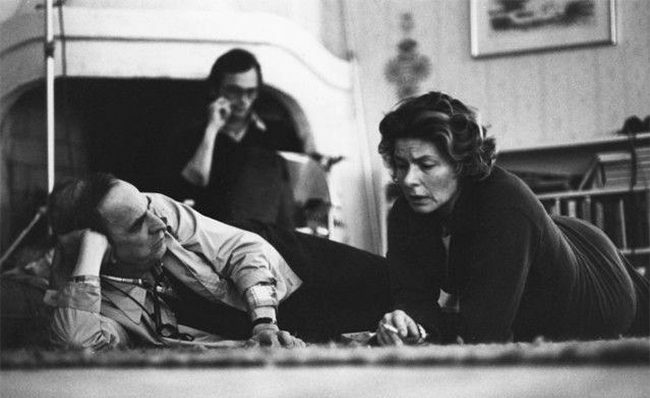 In the drama of “fraught interpersonal relationships,” (a trademark of the director, as recently noted by Kenneth Turan), Ingrid Bergman’s character of Charlotte is invited by her daughter, Eva (Liv Ullmann) to visit her and her parson husband in their country home. When Eva also brings her handicapped sister, Helena (Lena Nyman) into the reunion, the past erupts on the present with repressed familial furor. Bergman’s memorable movies of the 1950s and 1960s had been photographed in luminous black and white. In the 1970s he was working in color, and, as noted by Leonard Maltin, the cinematography by long-time Bergman collaborator Sven Nykvist is “peerless,” giving the film visual warmth and intensity. As to the only collaboration of the two Bergmans, Gary Arnold of the Washington Post said, “Bergman’s casting coup lives up to expectations. Ingrid Bergman and Liv Ullmann invest their roles with undeniable emotional impact.” It was also Ingrid Bergman’s last film role. The three-time Academy Award winner (Gaslight, Anastasia, Murder on the Orient Express) delivers a searing performance that brought her a best actress nomination in 1978, her seventh and final nod overall. Ingmar Bergman’s original screenplay was also nominated, one of his nine career total as writer, producer, and director. Additionally, the movie was named best foreign film by the Hollywood Foreign Press that year. Autumn Sonata is a story of intense mother-daughter relations, and as part of the Anniversary Abroad series will play two days after Mother’s Day on Tuesday, May 15 at 7:00 PM at three Laemmle locations: Royal, West Los Angeles; Town Center, Encino; Playhouse 7, Pasadena. Format: DCP. Click here for tickets. Part of the city-wide, two month retrospective, “Ingmar Berman’s Cinema,” at various locations. For the Anniversary Classics Abroad next attraction, we present another master filmmaker enjoying a retrospective, Milos Forman, with a 50th anniversary screening June 20 of his 1968 Academy Award nominee, The Fireman’s Ball.